This plastic asparagus can add a spark of freshness to your decoration. As a result, our artificial asparagus is one such element which will inject charm and energy in your rooms. Therefore, this is an easy and inexpensive way to bring a fashionable touch to your decors. 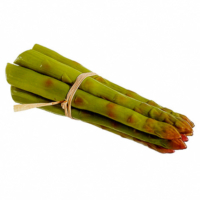 Amazing Produce is the one stop choice to choose the best plastic asparagus. If you are looking for the artificial asparagus, Amazing Produce comes with the best collection to offer. Consequently, our asparagus are durable as made of the quality material for long-term use. We put our creativity to make them look real by adding the high-density poly foam and added the original looking shades of green color. Therefore, if you need something unique to make your decorating concept look fresh, these artificial asparaguses are a great option. You can add them to your vegetable decoration collection.